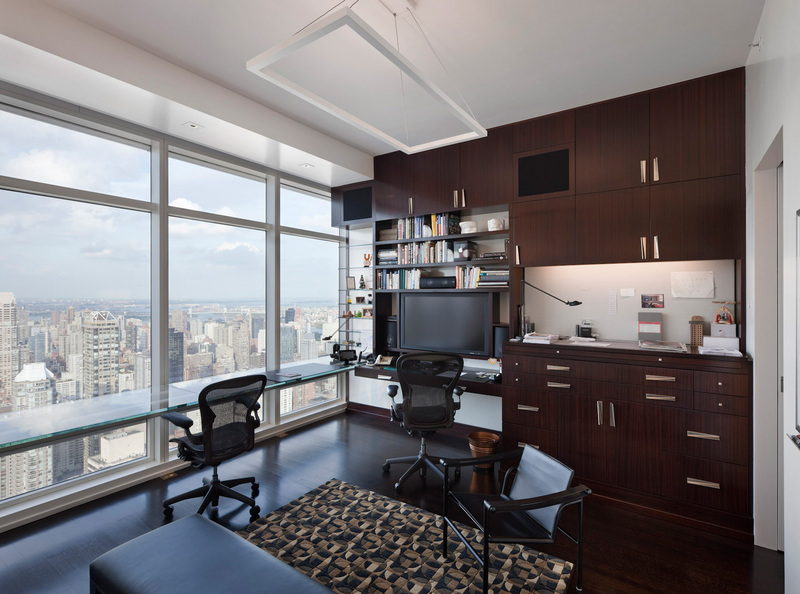 On the 47th floor of the Bloomberg world headquarters building, this apartment has soaring views of Manhattan and the outer boroughs, across New Jersey and up the Hudson to the Tappan Zee Bridge. We were commissioned by an internet entrepreneur and his wife for the design of a 3 bedroom, 3-1/2 bath apartment of 2,900 square feet. Featuring televisions in every room, including the powder and bathrooms, all the screens are embedded into the walls and in one instance into a door. 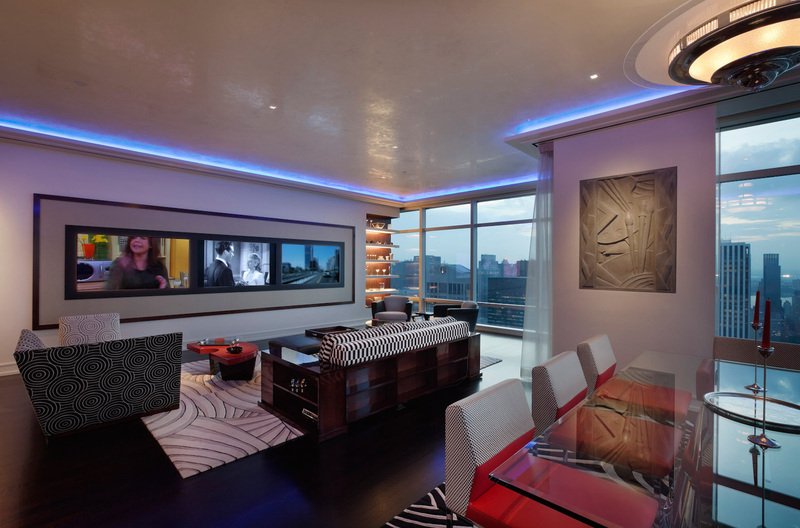 The Living Room has an entire wall of screens, capable of broadcasting up to 18 stations simultaneously. 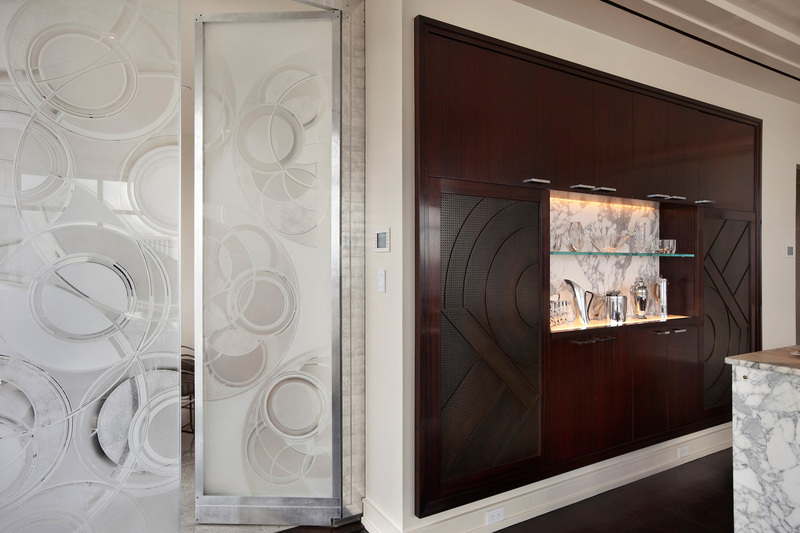 Between the Kitchen’s breakfast area and the Dining/Living Room there is an automatic sliding door with an art glass etching by Denise Amses of Amses Cozma. 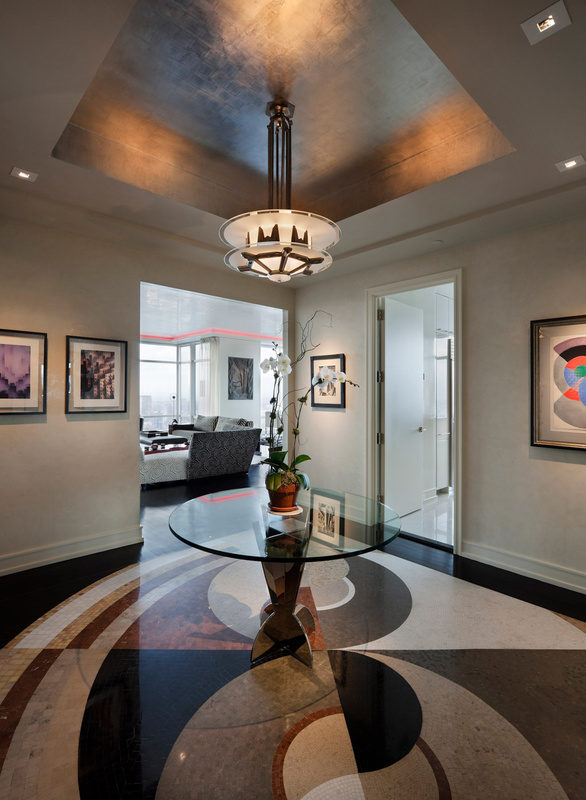 The foyer’s stone flooring echoes the motif, evocative of Art Deco paintings. 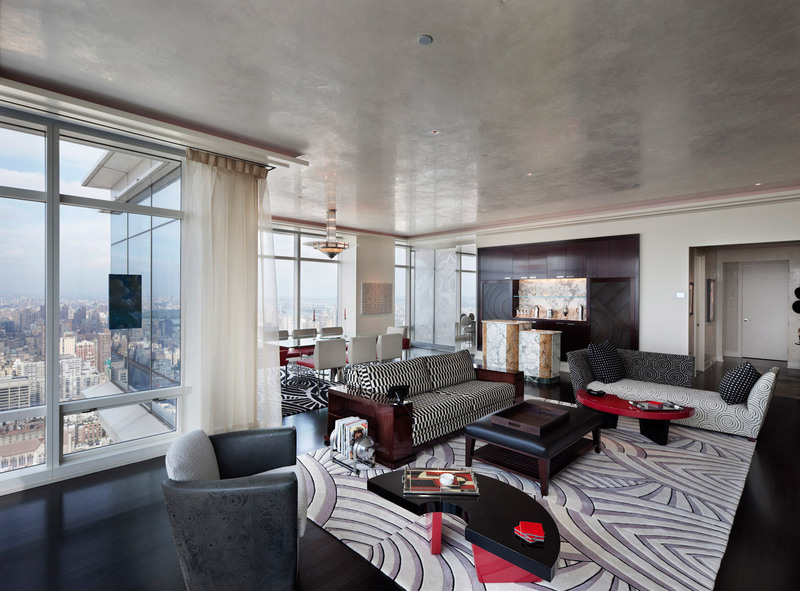 The Living Room ceiling is wrapped with LED cove lighting, which can flood the room with thousands of light variations.